Simply Oregon stock a huge range of Oregon Flitch ready to be cut to size for NSW Builders, Architects and Carpenters specifications. 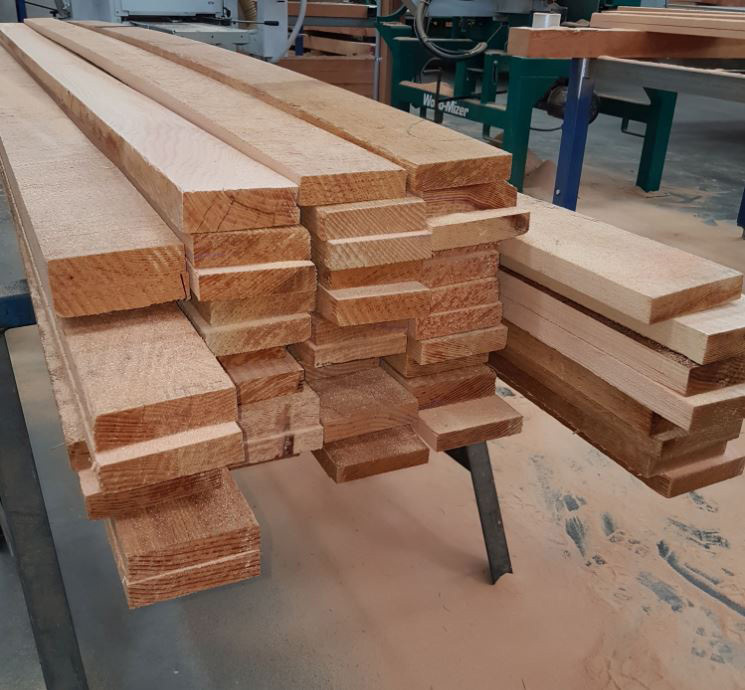 Our Oregon Timber is used for a variety of projects in NSW from large architectural projects to the small home handyman carpentry jobs supplied either dressed , bandsawn or rough sawn with Oregon Posts always F8 FOHC (Free of Heart Centre) or even F11 FOHC if required. Oregon timber orders are usually delivered overnight to Sydney with Sydney outer areas in approx 2-3 working days with treated timber orders being approx. 10-14 working days depending on the area of NSW being delivered to. See more details here about our timber treatments. We regularly deliver timber supplies to Sydney, Albury, Wagga Wagga, Bowral, Wollongong, Gosford, Newcastle, Coffs Harbour, Dubbo, the Blue Mountains, Paramatta, Blacktown, Campbelltown, Orange, Griffith, Broken Hill, Wentworth, Moama and Deniliquin. The Super talented Wayne from Wayne Mavin & Co - Bespoke Joinery 's craftsmanship on the Douglas fir (Oregon) we supplied has resulted in a stunning set of doors for a mid century style build in NSW. Check out the beautiful craftsmanship by our Matty here on these replacement Victoria style skirting boards for a customer in NSW. A completed order for some Oregon tongue & groove floor boards which have come up beautifully. 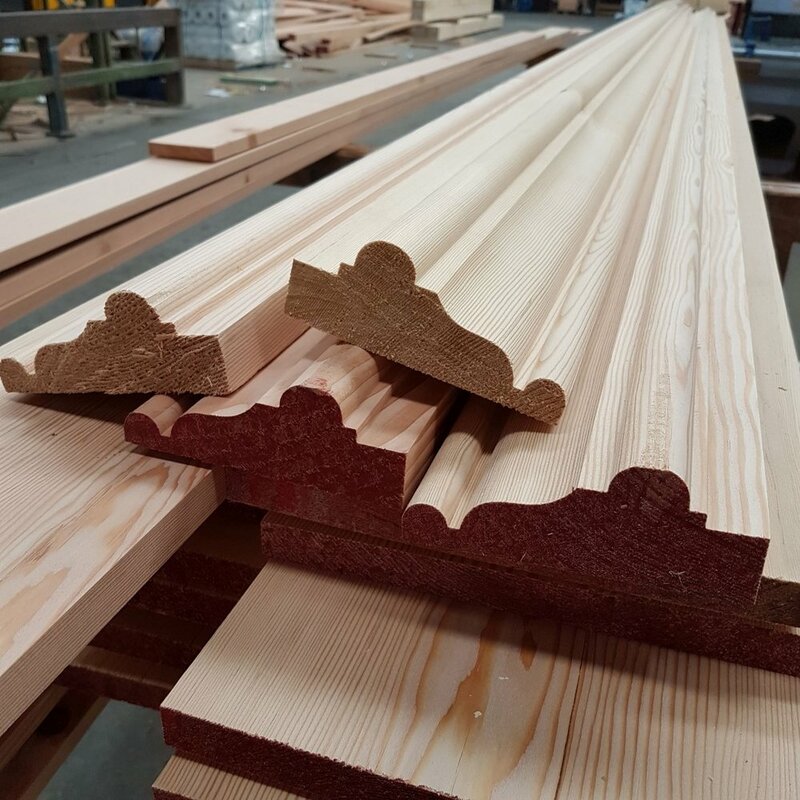 After running the Kiln Dried timber through the moulding machine which has dressed and created the tongue and groove profile we have an end result of gorgeous timber with a beautiful grain. These floor boards will look stunning in the new home in outer Sydney. Oregon is the perfect timber for use in heritage restoration work. This beautiful circa 1840’s home in Windsor, NSW has had some restoration work done on their posts by the talented Nick James at www.joinermaker.com.au located in Sydney. Hand selected pieces of flitch are needed to ensure the timber has tight growth rings before being quarter sawn .